Lori Hetzel Choral Series | Santa Barbara Music Publishing, Inc.
Lori Hetzel is the Associate Director of Choral Activities, Associate Director of the School of Music, and professor of Choral Music Education at the University of Kentucky where she conducts the UK Women’s Choir and the ever-popular a cappella group “Paws and Listen”. In addition to her conducting duties, Dr. Hetzel supervises student teachers and teaches undergraduate methods and choral conducting courses where she has pioneered a unique partnership program with area high schools allowing undergraduate students to begin classroom teaching early in their curriculum and gain true “hands on” experience. Hetzel is a contributing author to the new textbook Conducting Women’s Choirs: Strategies for Success. Among her many academic accomplishments, she was the recipient of the University of Kentucky “Great Teacher of the Year” award in 2000, a finalist for the Provost Awards for Outstanding Teaching in both 2009 and 2010, and the winner of the Robert K. Baar Choral Award in 2011 – “given to one choral director in the state who exhibits outstanding leadership in choral music and promotes music education in the state of Kentucky.” Lori Hetzel received the Bachelor of Music Education degree from the University of Wisconsin/Green Bay, the Master of Music from the University of Missouri/Kansas City and the Doctor of Musical Arts degree from Michigan State University. Outside of the university, Dr. Hetzel serves as Artistic Director of the Lexington Singers Children’s Choir and conducts the LSCC Chamber Choir. The Lexington Singers Children’s Choir was formed to provide specialized choral opportunities for the children of central Kentucky and now offers four select choirs in which children can participate. The group performs not only in the greater Lexington area but has also presented concerts with the Indianapolis Children’s Choir - Kantorie, the Spivey Hall Children’s Choir (Atlanta), the Central Illinois Children’s Choir, and at the Kennedy Center as part of the “Our Lincoln” concert presented by the Kentucky Arts Council. They are often seen in collaboration with other area musical groups including the Lexington Singers, Lexington Philharmonic, UK Opera Theater and the UK Choirs. 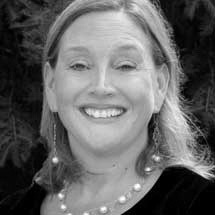 Hetzel is serving her second term as Repertoire and Standards Chair for Women’s Choirs, ACDA Southern Division. Exultate Justi in Domino (SSAA div.) Hyun Kook SSAA div.